Sebastian Gorka has found a new home. It's called the "MAGA Coalition" — a new outside group to support political candidates that will "compete against globalist corporatists interests." Little is known about the group. A source familiar with Gorka's arrangements tells me he's signing on as "chief strategist," the same title his former boss Steve Bannon held when the two worked together in the White House. 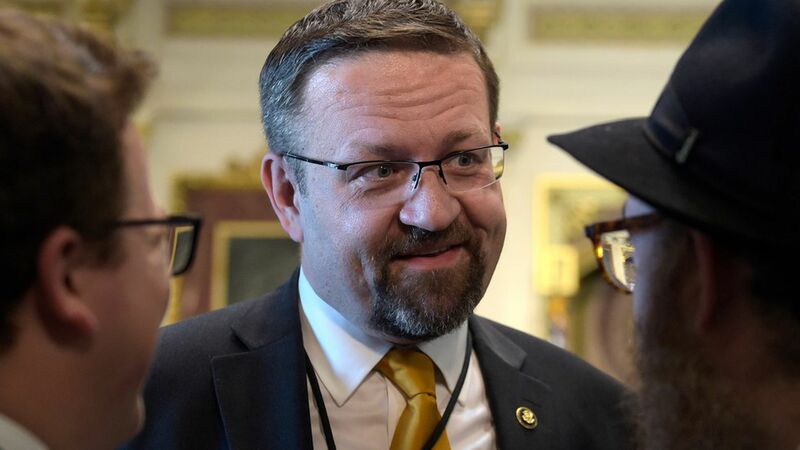 Gorka's first outing with the group: He's co-headlining a rally with Sarah Palin in Montgomery, Alabama on Thursday night. The Palin-Gorka rally will promote Roy Moore, the controversial anti-establishment candidate running against incumbent Sen. Luther Strange. The MAGA Coalition is co-sponsoring the Palin-Gorka rally with Great America Alliance, the Bannon-aligned outside group. Why this matters: Think about this. A month ago, Gorka and Steve Bannon were working in President Trump's White House. Now they are preparing to go head-to-head against the president to support a candidate who is loathed by the same establishment that originally loathed Trump. The backdrop: Some of the noisiest elements of Trump's base — including Breitbart — view the Alabama contest as a flashpoint in their war against Mitch McConnell. Luther Strange is McConnell's chosen candidate and Trump has put his weight behind him, first with an endorsement, and now with plans to hold a rally in Alabama on Saturday night to give Strange a last minute boost before next Tuesday's election. Moore currently leads Strange by anywhere between 8 and 13 percentage points, according to independent polls.